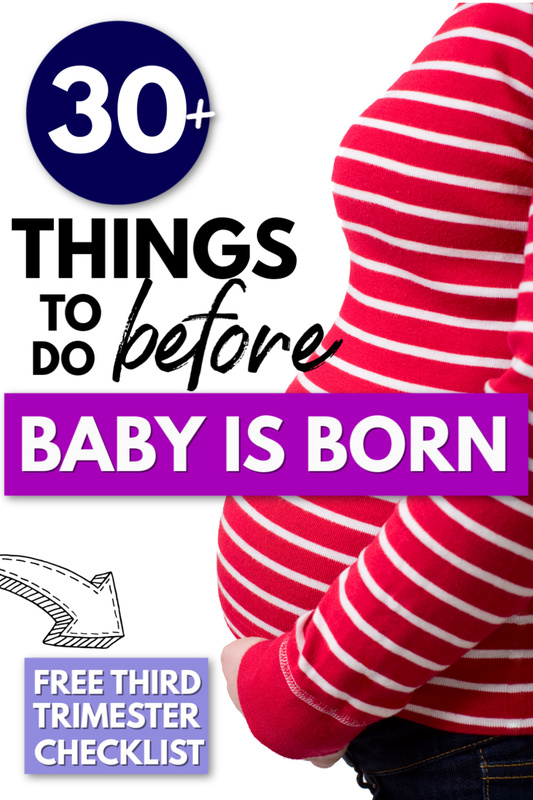 Inside: 30 things to do before baby is born. 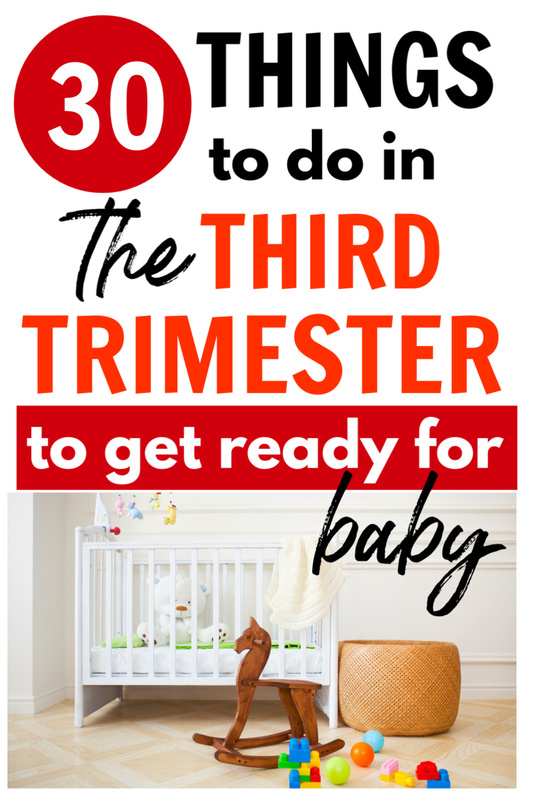 Start crossing these off your list once you hit your third trimester, so you can actually take it easy during those final weeks leading up to labor and delivery. 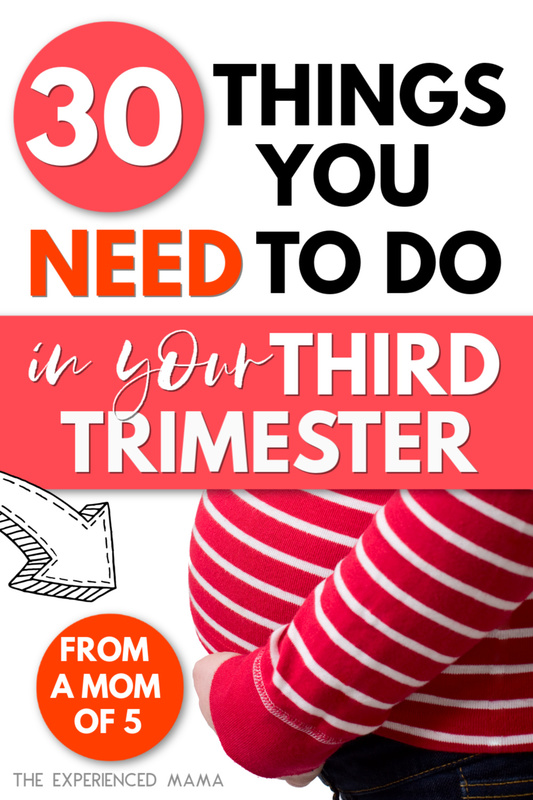 Don’t forget to grab your free third trimester checklist at the end! The third trimester is so exciting! You’re getting SO close to meeting your baby. Now it’s time to put all that nesting energy to good use and conquer your pre-baby checklist before baby arrives. 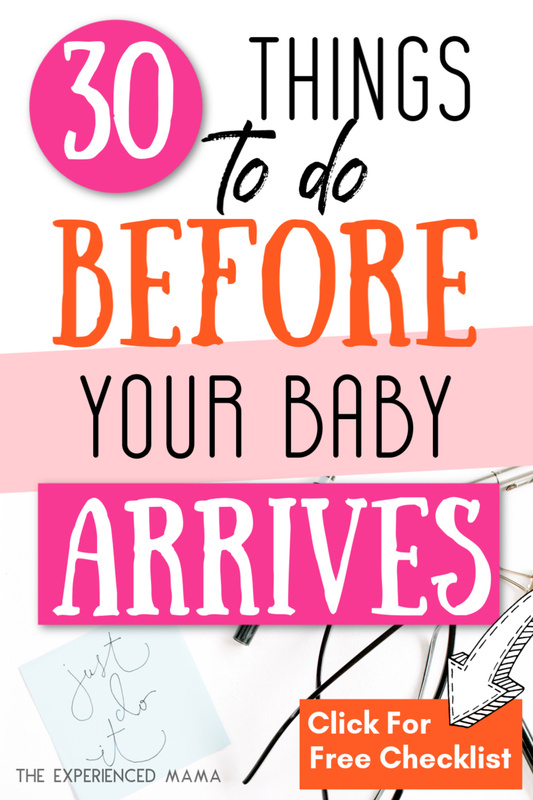 Use this list of things to do before your baby is born to make sure you’re not forgetting anything. Not everything on this list is essential (though the hair cut walks a fine line), but checking off everything on this list will make your life easier and so much less stressful before and after baby is born. THIS POST PROBABLY CONTAINS AFFILIATE LINKS. IF YOU LIKE LEGAL JARGON, YOU CAN READ OUR FULL DISCLOSURE POLICY HERE. If you don’t already know how much it’s going to cost you to have this baby, now’s the time to face the music. Childbirth costs vary widely. Call your insurance company. Find out your copay and/or deductible. If it’s a percentage, try to get an estimate. Then start setting aside money in a savings account to cover the bills. There’s nothing more stressful than having just arrived home with your newborn, only to start getting the bills in the mail and having NO plan on how you’re going to pay them. This will save you a headache when you are in labor and afterwards. Most OB/GYNs provide you with the forms in your welcome packet. Double check that you actually filled them out and submitted them though. I made it to 31 weeks and realized I *thought* I had filled them out, when actually, no. I just imagined I did. Track down those forms, and fill them out ASAP. It might feel a little silly to declutter before your baby is born. After all, didn’t you just have a baby shower and bring a ton of new stuff INTO your house? But guess what? All that new stuff, plus all your old stuff, is going to get overwhelming pretty quickly. When you don’t have the energy to do much of anything except take care of yourself and your baby, the clutter will start to get to you BIG time. You are definitely going to want less stuff cluttering the clean surfaces in your home, less stuff on your floors, fewer clothes so you have less laundry to do. You’ll crave less stuff. I guarantee it. But decluttering takes time and energy, and even if you’re tired in your last trimester, take advantage of that burst of nesting energy. 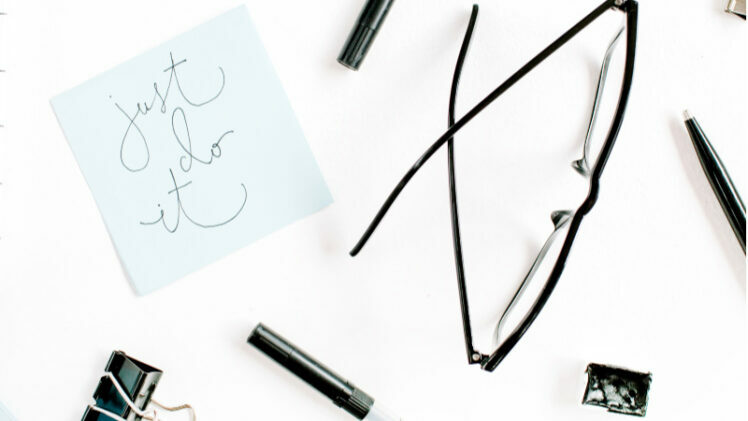 Take that energy and before you do the next thing on this list, use it to declutter. Decluttering before deep cleaning will be far more effective, and it will make cleaning so much easier. I’ve found this book to be the most helpful deluttering book (and I’ve read SO many on the subject). You will probably already have the urge to deep clean your house. It’s almost compulsive when you’re nesting: trust me, you’ll know what I mean soon if you don’t already. Now’s the time to clean under and behind the couch. Now’s the time to get the random dust bunnies and to mop your kitchen floor. Because after baby comes? You’ll think back to the driven craze that is nesting and wish you had just one.tiny.drop of that energy. Whether you got your baby clothes as hand-me-downs from friends and acquaintances or mostly brand-new as gifts or purchased yourself, you are going to want to wash all of it. First, you obviously want to make sure the clothes are clean. Duh. The second, less obvious reason you want to wash it all before baby comes is to know what detergent was used last on the clothes. Choose one detergent that you think you will use consistently. To be honest, if you already wash all the adult clothes in one detergent, it’s so much simpler to stick to one brand. You can opt something like Dreft or All Free & Clear, but those can trigger allergies just as much as Tide can. We have used this detergent for forever, and the ONE time we switched to All Free & Clear while visiting relatives, one of my kids broke out in hives (this is the only thing we changed, so it had to be the detergent). Whatever you decide to use, only use one detergent on the baby clothes. That way, if the baby has an allergic reaction of any kind, you will know which detergent to avoid moving forward. If you decide to separate you and baby’s clothing, don’t forget to keep baby bedding with baby clothes. Some of you might be thinking that taking a childbirth class is pointless. You’ll just read a book and avoid wasting an entire weekend spending awkward time with people you don’t know. But a book will only get you so far. Courses often go much more in depth and can answer some of your specific questions and fears better than a book. You also want your spouse/birthing partner to have a clue, too. Most insurances cover a childbirth class, but if yours doesn’t (and again, you want to avoid the awkwardness), this online course is just as good, if not better. Hilary still works as a labor & delivery nurse (despite bringing in an awesome income from her blog). This course is created from someone who experiences birth multiple days a week. She’s seen SO much and pours all of that knowledge and wisdom into her course. Plus, you can watch it in your PJs on your own schedule. Um, where was this when I was having my first baby?! My husband and I would have been the first in line. You may or may not have a diaper changing table. I feel like they are being used far less frequently. I definitely stopped using one after baby #2. You just don’t have the luxury of going to a different room to change the baby when your four-year-old is trying to stop the toddler from destroying your living room with a sharpie (#realmomlife). If you don’t have a dedicated changing table, or you just think you’ll need a more portable option, put together a diaper-changing caddy or basket that you can move from room to room as needed. This is something you might put off until the last minute. Don’t be that mom. Better to be early than late. Babies really can come at any time, and while I’ve been late with almost all of mine, I have friends whose babies have come 2-3 weeks early. Read the instructions. Put the car seat in the car now. It will be much better than watching your freaking out husband try to read the directions (upside down and backwards) while you’re in labor for the first time ever. 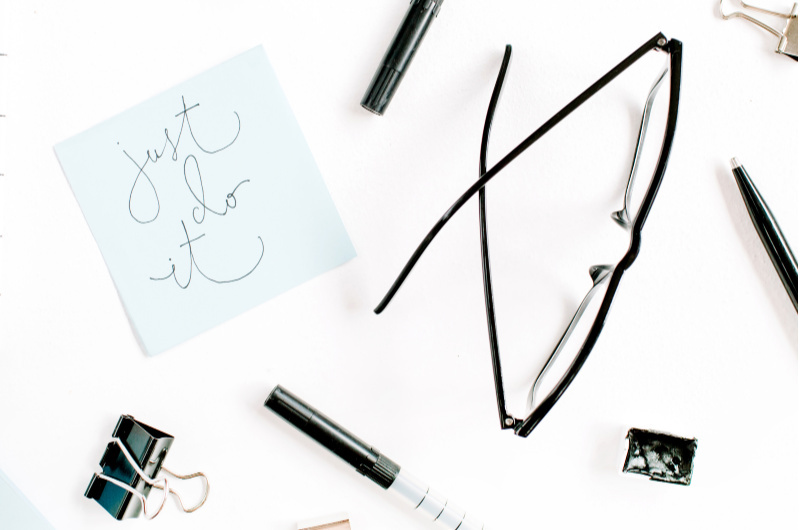 Yes: you’ll still be a total control freak, but you won’t actually do anything about it. This one can be more challenging, and you’re going to need TONS of recommendations from local friends. Even when you find one, you may end up switching later on, and that’s o.k.! Gather recommendations, ask questions, particularly about the above topics, and make the best possible choice for now. Keep in mind that you will change as a parent. As much as it can be a pain later on, don’t be afraid to change pediatricians in the future if it’s no longer a good fit. Extra emphasis on that last point: do NOT stay with a doctor you feel uncomfortable taking your kids to long-term. If your first choice isn’t a winner, find a new doctor. Your birth plan very well may be tossed out the window. So then, why make one in the first place? Even though things can change rapidly during labor (I planned on a natural birth with my first and ended up with an epidural and an emergency c-section), it’s important to know to some degree what you want, both for yourself, your birth partner, and your doctors. Do your research, have an idea of how you want things to go. 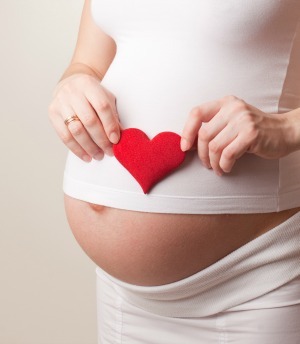 But at the end of the day, the most important point on your birth plan is to be flexible. Ultimately, you need to trust the doctor and the hospital you chose and trust that the recommendations they make come from a desire to keep you and your baby alive and healthy. As pregnant moms, we get so focused on labor and delivery (and rightly so), breastfeeding is the last thing on our minds. Breastfeeding deserves a little more attention than that. You don’t want to be caught off guard by its challenges. Again, while books can be helpful, I’ve found that courses can be even more helpful. Even with my last baby, I didn’t notice her improper latch. Thankfully, a lactation consultant picked it up, and the pediatrician was then able to diagnose a tongue tie AND lip tie. She wasn’t gaining weight by her first doctor appointment, and only started gaining after getting her tongue tie addressed. Learn what a proper latch looks and feels like, so you’ll know an improper one when you see it! This online breastfeeding course gives you all the information you need to breastfeed successfully, is SUPER affordable (seriously, I don’t know how she makes a profit), and can be watched start to finish while sitting on your couch. Many insurance companies offer a discount on breast pumps. Before you buy your own, before to call your insurance, so you don’t miss out of any savings. You probably already have Amazon Prime. If you don’t, get it. Seriously – like yesterday. You’re gonna need it! With 5 kids and one car, which my husband uses for work a lot of the time, I consider it my lifeline. I use it both for random items I don’t want to drag 5 kids to the store to get (let’s face it, that’s pretty much anything) and for staples we use all the time. For the items we use all the time, I have a Subscribe & Save list that automatically ships me 5-7 items every month. When you receive 5 or more items, you get a 15% discount on each item. But you can save even more on baby items with Amazon Family. Once you have Amazon Prime, you can sign up for Amazon Family, a program that offers a 20% discount on Subscribe & Save baby items like diapers and wipes. I haven’t found a better price for diapers than Amazon Subscribe & Save, especially since I have an Amazon store card that gives me 5% back on all our Amazon purchases. I even discovered that these breast pads qualify for the 20% discount! Stocking up on diapers is a tricky business. You might end up overbuying a certain size and wasting money. You also have no idea how big your baby will be at birth. Our babies have ranged from 8lbs – 10lbs! Newborn diapers were pretty much a waste of money. Babies also grow at different rates and are shaped differently. Some babies can fit a size one FOREVER. Others fly through size one before you’ve even used half the box! If you do decide to stock up with coupons, don’t start until a few weeks before your baby is born. Buy smaller sized packs (this is the best way to save with coupons anyway), and keep the receipts. That way, you can hopefully exchange leftover packs for the next size. I stopped stocking up in advance after baby #3. This time around, we simply ordered a box of size 1 Huggies diapers from Amazon to have on hand (our babies are always over 8 pounds, so newborn sizes are a waste for us. For wipes, Huggies wipes are the best! Pampers wipes? You might as well just use the entire pack on one diaper change. That’s how worthless they are. Sleep training should never begin before four months of age. Babies don’t have the ability to self-soothe before that age, and your body needs your baby to nurse on demand in order to establish and maintain a sufficient milk supply. While you should wait to try any method of sleep training, the best time to read about baby sleep theories and methods is before baby comes. Get an idea of the theories behind the different approaches, and discuss with your partner what you think will work best for your lifestyle, personalities, and (theoretical) parenting styles. After baby arrives? You’ll be too sleep-deprived to care. Now’s the time to stock up on freezer meals, or if you don’t enjoy freezer meals (we really don’t, unless it’s Stouffer’s lasagna), all the staples you need for the easiest possible meals. Also, if there was anything I wish I would have mastered before having my first baby, it’s meal planning. Now, throwing together meals is relatively painless (except when my husband “isn’t in the mood” for something). This course gives you all the tools you need to achieve the same meal planning effortlessness. It’s genius – I only wish I would have thought to create it myself! But Elisa’s entire blog is about meal planning: she’s the expert, not me. Get her meal planning secrets HERE. Even if you get meal planning down, you still need to actually go buy the food to make the meals. Five kids in, grocery shopping with just an infant is pretty much the most alone time I’m going to get these days. But when I had only an infant, the thought of going to the grocery store and her possibly screaming there and back, or even worse – in the store itself, was just too much. Grocery delivery would have been a serious godsend. We currently use grocery pick-up on a regular basis and grocery delivery whenever there are coupon codes for free delivery available. Look into whether or not your local grocery stores offer the same services. If those fall through, you could also try Amazon Fresh grocery delivery. We’ve used it once in a pinch, and while on the pricier side without any discounts or coupon codes, it got the job done. In the middle of laundering and folding all that adorable baby clothing, don’t forget to put together a baby’s first aid kit. I especially wish I would have had the saline on hand when my newborn got a cold earlier this week! Put it all together in one place you will have easy access to. As I mentioned in this post about breastfeeding, I don’t recommend stocking up on nursing bras just yet. You don’t know what your final actual breastfeeding cup size is going to be until at least a few weeks into baby life. But nursing tank tops, I definitely recommend stocking up on. I somehow made it through breastfeeding my toddler with only three. I just ordered two more. Between your sweat, baby’s sweat, leaked breastmilk, and spit-up (yuck), you won’t be able to wear them more than a day – two, tops. With the number I have, I only need to do laundry every 5-6 days. This time around (baby number five), I decided to invest in a handful of shirts designed specifically for breastfeeding. It’s made SUCH a difference in how I feel about getting dressed in the morning and how I feel breastfeeding in public. I like the way the clothes look, and I don’t expose my entire stomach, back, AND breasts to the world every time I need to nurse. My favorites are these tops that open like this one. I highly recommend investing in at least one or two to see if you like them. Even more likely to be forgotten are the supplies YOU will need postpartum. The breastfeeding friendly clothing is just the start of what you’ll need, and don’t rely on the hospital to send you home with everything you’ll need. 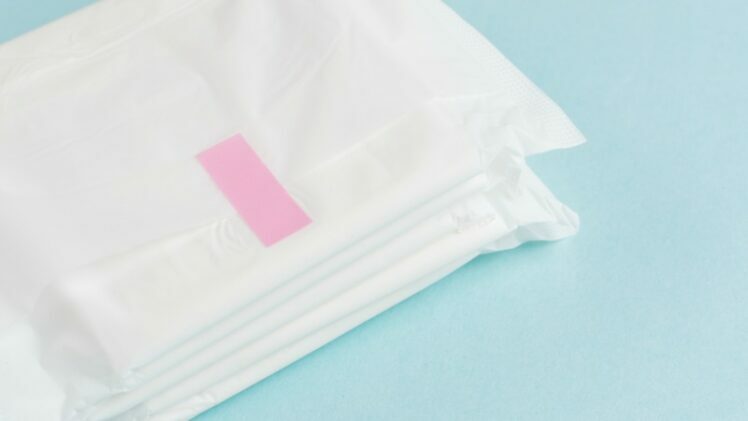 Even though many hospitals let you take home the leftover postpartum pads, it won’t be enough to last. Get your postpartum essentials together NOW, or your husband will be that guy at CVS trying to purchase his wife’s postpartum pads. See everything in my minimalist postpartum care kit HERE. If you don’t already have a small travel bag (I didn’t for this last baby), now’s a good time to invest in one. A bag like this one turned out to be the perfect size. You should have everything you want to take to the hospital already packed in your hospital bag at least three weeks in advance. Some things like phone chargers and make-up will need to be tossed into your hospital bag at the last minute. Make sure to have a list in your bag, ready to go to remind you what you need. Labor can intensify quickly, and you don’t want to be wracking your brain for those essential items while you’re breathing through a contraction. New mom mistake: not thinking about dad’s hospital bag. I’ve definitely made that mistake myself. He can probably remember things like clothes and underwear, but things like headphones, snacks and pillows? Those things won’t even cross his mind. And the food: definitely don’t forget the food. You have NO idea how long labor will last, and snacks in the labor and delivery section are far from amazing. Whatever your feelings about paperless products, this is one time to set those feelings aside. Dishes are the last thing you’re going to want to do one week postpartum, especially if you do not have a strong local support system. You need to be taking care of you and baby. Start worrying about the dishes in a few weeks, and embrace the disposable paper products. Add a stack to your Amazon cart HERE. Swaddling is a learned skill for sure. When you watch those nurses expertly wrap you baby up like a little burrito, you’ll will marvel how they do it. Check out this tutorial before baby arrives. Then make sure to ask the labor and delivery nurses to give you a few lessons before you bring baby home from the hospital. While all my babies eventually became little Hudinis and managed to get out of pretty much any swaddle I attempted, a good swaddle DID help them sleep during the newborn stage when I was utterly exhausted and desperately needed to recover. Take it from someone who didn’t make this a priority before having her fifth baby: pick up the phone and schedule your hair cut NOW. There’s no way it’s happening for months after your baby is born. Pick up the phone, and get an appointment. Ok, ok, maybe this isn’t necessarily an “essential”, but when you’re in labor and feel totally exposed and gross in every other way, the one tiny comfort you’ll have is that at least your toes look amazing! I never get pedicures except before I have a baby. Schedule it back to back with your hair cut and kill two birds with one stone. Having a baby means added responsibility. I realize that the last thing you want to think about before having your baby is what if the unthinkable happened to you and your spouse, but you need to. Start talking now about who you would ask to care for your child if something were to happen to you. This can be a lengthy conversation, especially as the first person you ask could turn you down (it’s happened to us). Have 2-3 people on your list of people to ask to be guardians. Then determine the complexity of your particular situation before choosing how to make the will itself. For some, an inexpensive will using the simplest option on a will-making website may suffice, but depending on your assets and family complications, you may need to hire a lawyer to make sure your wishes will be carried out. Do Mom, Dad, and your friends want to get updates during labor? Who will you tell after delivery? Who needs to know before the major blast goes out on social media? These are questions you definitely need to answer BEFORE you go into labor. You have no idea the kinds of craziness that can happen when the Facebook post is put up before so-and-so heard from you personally. Make a list. Gather phone numbers. Decide whose phone the text thread needs to be on (you or your spouse’s). Start the text thread now, so it’s all ready to go at least three weeks before your due date. Finally, take care of any bills a week or two before your due date. Set up auto-pays for bills with due dates right around your expected due date. The last thing you need to be doing postpartum (or worse – during labor!) is worrying about remembering to pay bills. Forget the rest of the nursery. All you really need is a place for baby to sleep. It sounds so obvious – how could you possibly not do this? I’m telling you: your due date will creep up faster than you realize. One day, you think you have all the time in the world. The next, it’s a week before your due date, and you’re worried about going into labor early! Set up the crib AT LEAST a month beforehand. This is a pretty big list, but don’t fret. Depending on when you’re reading this, you probably have plenty of time left. Look of the list again, and prioritize it for you personally. Start with those and work your way to the rest of them. And get excited! You’re going to meet your baby soon: it’s been a long wait. Reading this after having your baby? What things did you want to before your baby was born? 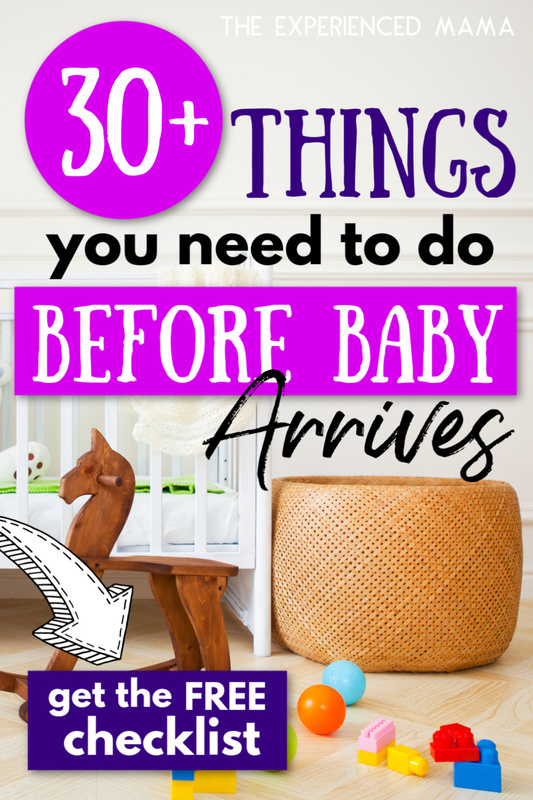 Be extra ready for baby - don't forget a thing! Bonus: Also, get access to our e-mails! You have successfully signed up for our regular e-mails. Click HERE to download your free checklist.